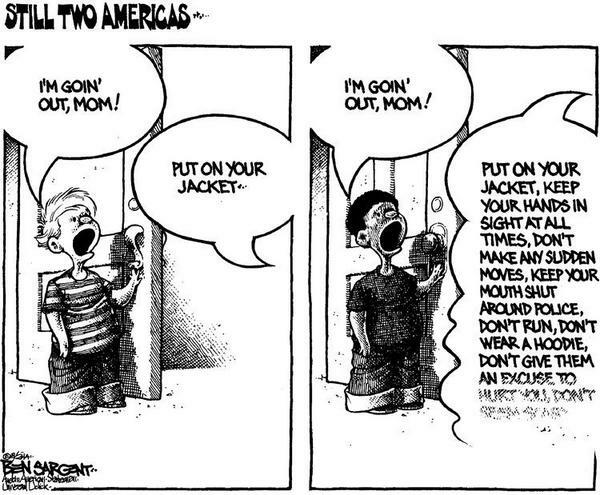 Explaining Eric Garner to My Children | Daniel Katz, Ph.D. Beautifully put, Dan. We had an almost identical conversation in our house. Let’s hope lots of parents do! As an African American Mother of two adult sons, Grandmother of three grandsons, Auntie of sixteen plus “Nephews” and Sister of four plus “Brothers” all who are of African American decent, I just want to say “Thank- you” for choosing to be the person, parent, educator, citizen and fellow American that you are. I pray this sharing the conversation you and your wife had with your children is widely published and used as a tool to assist in the education of others and the the reformation of policies and laws that support and sustain the ongoing tragedy of “Two Americas”. Thanking God for His Spirit of humility, truth and Love that is in you. May we all rise to this occasion and the opportunity to be our best and highest selves, make wrongs right and change our world for the better. Thank you so much for your kind and wise words. I wish such conversations were not needed in any homes, but the world is what it is, and if I want my children prepared to confront racism today and to understand how privilege works in society (and to push other white people to stop being blind to it) they need to be taught now. With luck and work now, perhaps they can be the generation of children of all colors who bend our arc of history closer to justice.